Out of retirement. Yes, I'm out of retirement. I came back to teaching because I discovered I was filling my time but not feeling fulfilled. 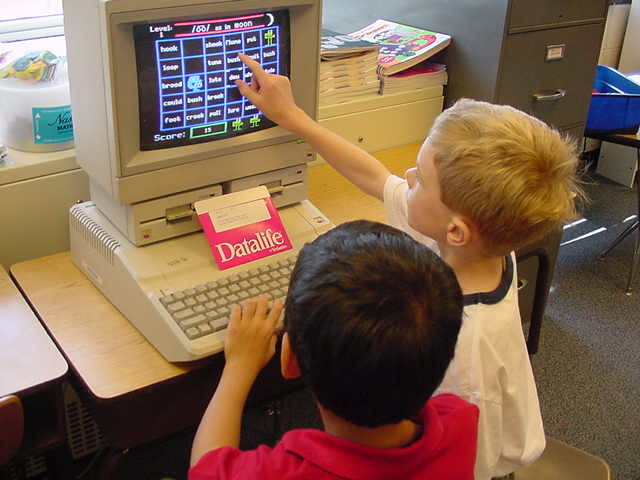 But, I am actually writing to make the point that I brought some Apple II GS machines into my classroom. And they are "out of retirement and going strong." An active, enthusiastic group of first and second graders greeted me on my return last fall. 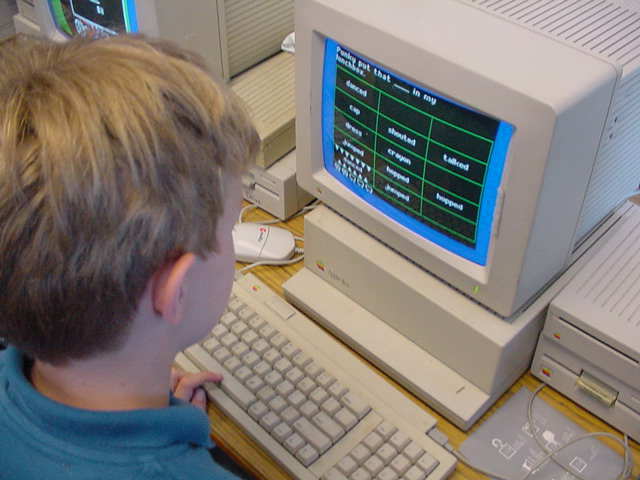 I had great memories of the Apple IIe computers we had in our classrooms with all the MECC software. 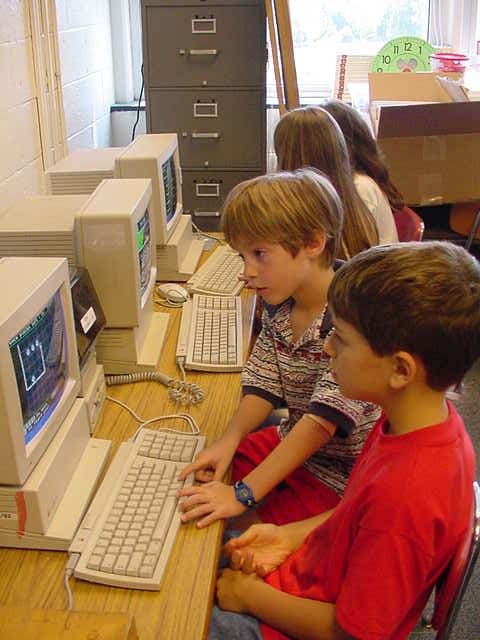 The students eagerly waited their turns to use the machines on "drill and practice" software. I have always been a proponent of drill and practice and this was another avenue to help students master grade level materials as well as offering new challenges and extension activities to other students. After asking around I was referred to Washington Apple Pi as a place where I might be able to get a few computers to put in my classroom as the Arlington Public School system had "retired" all their Apple IIe and Apple II GS machines. What a thrill to arrive in Maryland and find a stack of machines waiting for a good home! 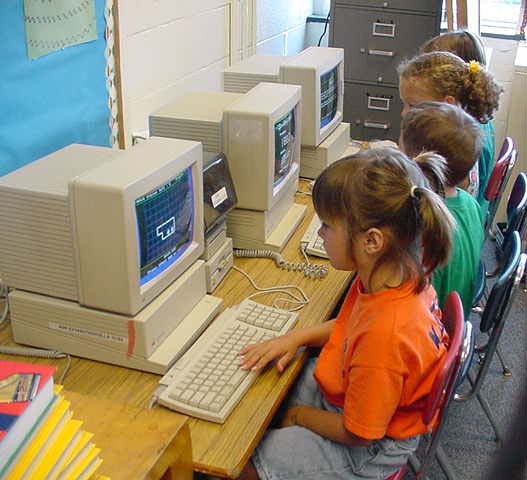 I am back again this year teaching second and third graders and they are every bit as eager to use these machines when they finish their work. 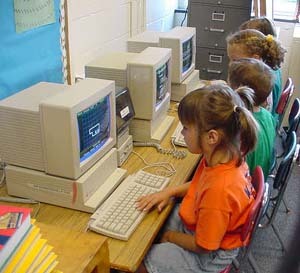 I also have 3 old higher-end Macs but the students only use them when the others have all been claimed. As we are studying maps and the compass rose the students use "Jenny's Journeys" which requires them to move throughout a town going north, south, east or west. Those who are still weak in phonics get practice on "Word Munchers." Those who are ready for some challenge try out the various choices in "Number Munchers," or "Number Jumpers," or Measure Works." I can tell that this gives some students more confidence as well as improving their skill levels. 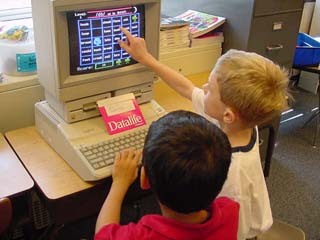 It provides opportunities for cooperative learning, student mentoring, and learning to take turns. I am so appreciative for the opportunity to have these machines in my classroom. Several of the newer teachers have asked me where I got these. How did I get so lucky! I refer them to Washington Apple Pi. And a bonus is that when I have a problem with the hard drive or monitor I can take the parts back for repair or replacement! Thank you for such a wonderful extension to my teaching repertoire! Attached are some pictures to show the computers in use! Please, oh please, keep up the much appreciated work you do!